LAS VEGAS, N.M. — Sunbury Press has released Mela Suse Vigil Duran Carvalko’s memoir of her childhood titled Maybe Tomorrow. A FAMILY THAT CONFRONTS THE FORCES OF MENTAL ILLNESS, AND LEARNS THAT NO BURDEN IS SO HEAVY AS TO DEFEAT AN ETERNAL LOVE. 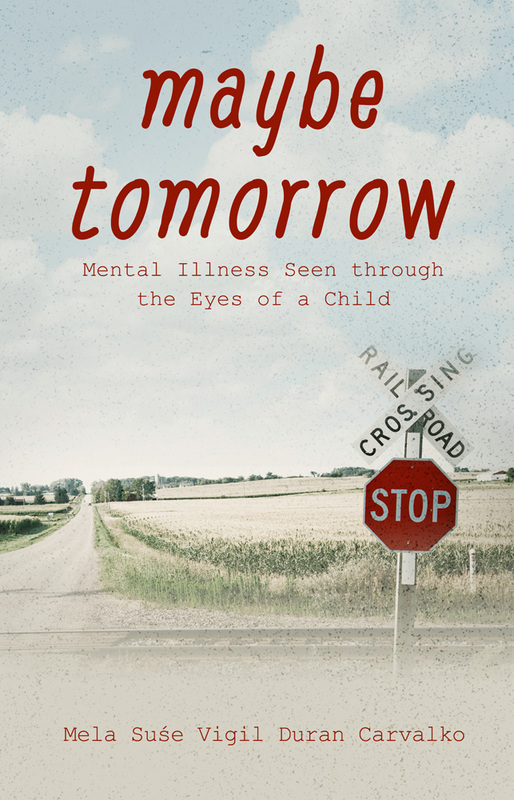 Quite apart from other memoirs, the author captivates the reader’s attention, by painting a portrait of mental illness through the eyes of a child. As a child growing up during the 40s and 50s, in the rural Spanish farming communities of New Mexico/Colorado, she recounts her father’s courage and refusal to accept the finality of his wife’s mental illness, and how he single-handedly raised four daughters, teaching them what it means to survive, drawing strength from the pride of self-worth, and the humility of self-reliance. I have come full circle to the land of my father’s birth, Rociada, New Mexico, where I breathe in the aspirations of my ancestors, where I hear the swish of their scythe against the wheat, their plough turning a stubborn, bounteous earth, where I see the rutted and hooved reliefs of wagons and beasts, burdens, which led directly to a remarkable life, one guided by a dream of an angel sitting on my shoulder, watching over me. The screams frightened me beyond verbal description, but this fright was quickly supplanted by the even greater one of not knowing where I was going and what waited for me at the top. We climbed the metal grated stairs, each step causing vibrations that made me feel they would collapse at any moment. The higher we climbed, the louder the screams became. I was afraid to go on, but afraid of what was behind me. As we ascended, my heart beat faster with each step. I felt sick to my stomach wondering what evil waited for me, but I never complained, and did what was expected of me. By the age of three I had learned to control my emotions, and as I grew older, I found that self-control in the face of the unknown would help me survive. As we neared the top, I could hear doors creak open in front of us and slam shut behind us. When we reached the final step, we came to a lobby with a long hallway. The door closings reverberated off the high ceiling and masonry walls; harsh lights overhead reflected off shiny, off-white, dirty-beige, and pea-green walls. The floors were covered with hard linoleum squares, worn, scuffed, and cracked, and though polished to a high sheen, every square was embedded with the dirt of half a century. MELA SUŚE VIGIL DURAN CARVALKO has spent many years investigating the genealogy of Spanish families that settled in San Miguel/Mora counties, New Mexico. In addition to documenting her accounts of the life and times during the mid-twentieth century, she devotes time as an artist and musician. She studied art at Sacred Heart University and mentored under impressionist artist Albert Werner. Currently she lives between New Mexico and the east coast with her husband, three cats and dog Leila. 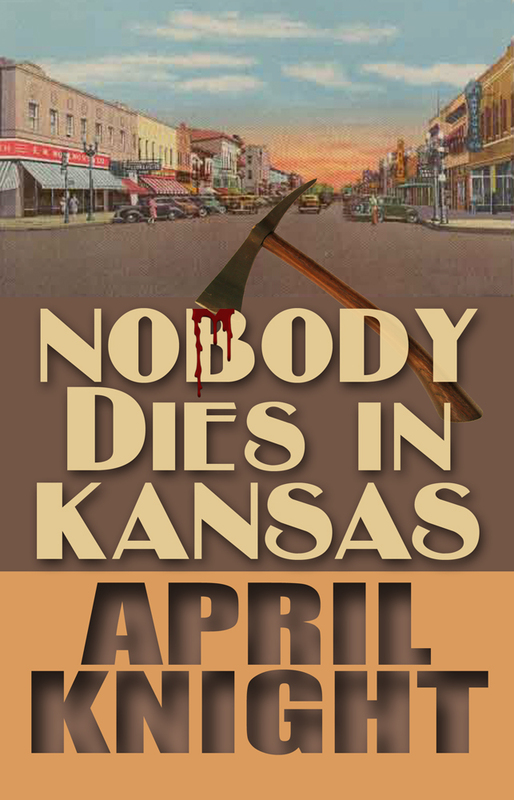 Dysfunctional Kansas family battles it out in April Knight thriller "Nobody Dies in Kansas"
LAWRENCE, Kan. — Sunbury Press has released April Knight’s psychological thriller Nobody Dies in Kansas. “Something bad always happens,” she answered without turning around. She wiped the kitchen counter with a dirty dishrag and hung it up to dry. “I mean, is something bad going to happen to us?” Linda asked. Mother turned around and looked at her daughter with annoyance. “Have you done something that is going to embarrass and humiliate me? Like the time you picked flowers out of the churchyard?” Mother put her hands on her hips. “No, I haven’t done anything and I didn’t know I couldn’t pick the flowers. I thought since they were growing in the churchyard they belonged to God and it was OK to pick them because God has lots of flowers,” Linda explained again. She’d been explaining ever since she’d picked the flowers two years ago when she was six. “Well, to answer your question, yes, I’m sure something bad will happen to us. I’m a very unlucky woman,” Mother said. “Do you think something bad is going to happen to me, too?” Linda asked. She knew something bad was going to happen. She thought about what Mother had said: she was going to die, she was going to be kidnapped and cut up and thrown into the river. She wondered who she’d miss after she was gone and decided there wasn’t anybody. Nobody liked her at school, nobody liked her at home. No, she wouldn’t miss anybody and nobody would miss her, not even Sue. Maybe Mother wouldn’t even notice she was gone. Maybe she’d be gone for a month before Mother missed her. It would be nice if somebody missed her. It would be nice if somebody cried because she was gone forever. She couldn’t think of anybody who would cry. Thinking about it made her cry for herself. Linda Davison is tall, beautiful, powerful, and strong enough to escape from dangerous snares and defeat evil monsters … in her dreams. The eight-year-old Kansan dreams of someday becoming just like her silver screen heroine, Tandaleah, Fire Goddess of the Volcano—a gorgeous conqueror of the jungle and its many pitfalls and villains. In her real life, however, Linda is what her mother tells her she is: skinny, scrawny, scraggly, and scared—not at all like the queen of the jungle. Dave Davison has successfully spent most of his life cruising along, not making waves, flying under the radar. Just the way his family expects. His one mistake—marrying his cold, selfish wife—however, has slowly snowballed over the years, resulting in an unwanted child, a hateful marriage, and a general sense of not having met his full potential. The Davisons take steps toward their ideal lives and away from each other in this psychologically demented family story. Only one Davison will achieve their goal—who will it be … and will the adage ring true that “Nobody dies in Kansas”? April Knight decided at the age of nine she would be a writer and live on the crater rim of a volcano and be called Tandaleah, Fire Goddess of the Volcano. At the age of thirteen she sold her first story to anational magazine and her first book became a best seller. She moved to Hawaii and lived near the Kilauea volcano but failed to become Tandaleah the Fire Goddess. April has been a missionary in New Mexico, a barrel racer in rodeos in Colorado, panned for gold in the Yukon and has ridden camels in the outback in Australia. She is currently living a nice quiet, respectable life in Seattle where she writes about blood awful murder.